When workers, business managers and executives find themselves unable to do their job as effectively as they need or would like and that IT cannot deliver the apps they request, then these citizen developers are more likely to try to build the apps they need on their own. And the numbers of these citizen developers are increasing day by day. 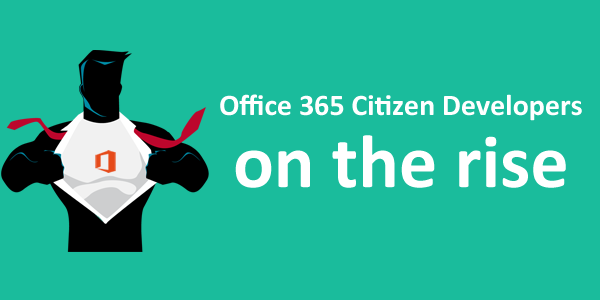 With tools such as PowerApps and Flow (and many more), Office 365 offers a great environment for superhero citizen developers to develop business applications, and themselves. In order to let the citizen developers work in a controlled environment, a governance plan needs to be set up. This plan will draw out the chalk lines in which the citizen developers can perform his/her tasks. This plan may indicate the usage of external sources, limitations, training, etc. But what exactly are the tasks of a citizen developer? Where in the past you had a typical team setup of a project manager, functional analyst, developer and end-user, the citizen developer will take on more than one role. Depending on the phase of the project, the citizen developer will need to wear a different hat. Given the fact that this person has the technical skill set to actually build the application, the citizen developer will also need a skill set of soft skills in order to successfully leverage his/her application. And that is exactly what makes the citizen developer an office superhero.